Ever wondered why the gap between rich and poor nations is so great, or why it's so difficult getting a foot on the property ladder, or how to outwit Starbucks? 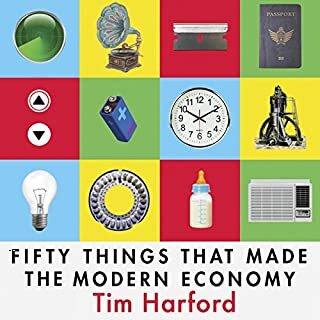 This audiobook offers the hidden story behind these and other questions, as economist Tim Harford reveals how supermarkets, airlines, and coffee chains, to name just a few, are vacuuming money from our wallets. 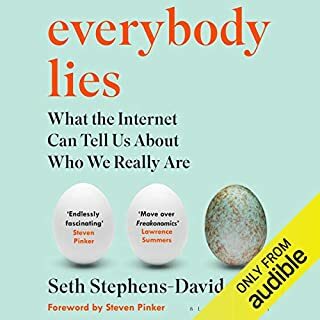 Written with a light, humorous touch but backed up by the latest economic research, this eye-opening book exposes the forces that shape our day-to-day lives, often without our knowing it. I'll definitely be reading again many time at 3x speed. 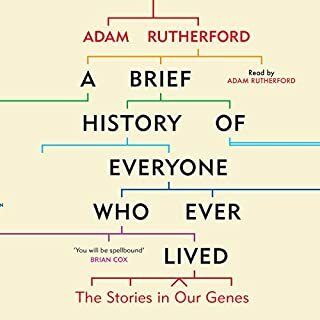 So many relevant anecdotes that connect the writing to the knowledge beautifully. Why is coffee so expensive on train stations? Which type of illegal activity gives the best profit? What are the benefits and the downsides of free markets? Is natinal health insurance good or bad? Should you feel bad when purchasing products made in countries where workers do not enjoy the same rights as in your own country? 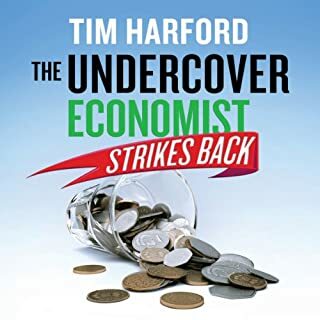 In The Undercover Economist Tim Harford deals with these as well as other economic issues that we encounter on a daily basis, often without being aware of it. The book is generally easy to understand and have a subtle humorous tone which keeps you engaged. 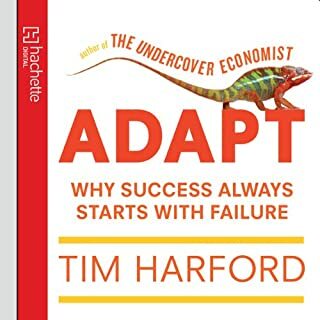 Like almost all economist (that I have encountered anyway), Harford favors a more or less free market. Whether this should be seen as a bias or if this is because free markets are intrinsically good is a question I cannot answer. In any case the book is definitely pro free market which may be a dealbreaker for some potential readers. Harford moves on to discuss the implications of this principle in the society. For instance, if you own a maffia, one of the most lucrative paths to take is to start a legit business and then threaten competition to increase scarcity power (reduce supply). With the competition gone you can charge what you want and make a nice profit. 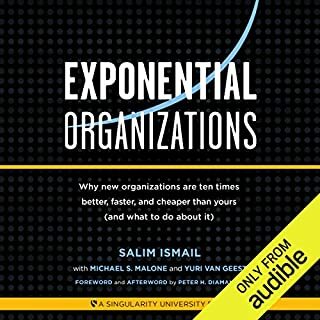 One of the most interesting things I learned from this book was that sales, rebates, special prizes for students and seniors, class seating on trains and airplanes etc, are often just ways for a business to charge customers as much as they are willing to pay for any particular product. A coffee stand may earn a profit by selling coffee quite cheap but would of course like people with a lot of money to pay as much as possible. To get rich people to pay allot while not scaring off poor people or students you can offer large cups or alternative types of coffee such as coffee mocha coco bozo with cream, ice cream etc etc. Such fancy product are really not much more expensive to produce but you can charge much more for it (and if you check out the prizes at your local cafe this is exactly what they do). Similarly if you own an airline company it makes sense to have different types of seating because then you can charge insane amounts of money for a little bit more leg space and a little better service which many people are willing to pay to feel just a little bit more special. To increase the gap you can also consciously make standard seating slightly uncomfortable. Harford also offers an analysis of what makes poor countries poor. The short answer is high tariffs (which reduces trade with the rest of the world), and corruption. These two factors can be particularly detrimental in small countries which are extremely dependent on international trade. There is nothing preventing poor countries from developing into richer countries and there are in fact many examples of such a transition. 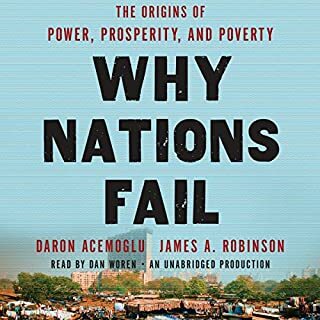 One particularly striking example which is discussed in the book is South Korea which used to have many “sweat shops” where working conditionins were poor compared to the rest of the world. However, because they could offer cheap products they achieved impressive growth and a rapid switch from an agricultural to a manufacture economy. Today, South Korea is a highly technological society with a high standard of living and sweat shops have moved to other countries, because today there are better jobs available to Koreans. Harford makes it clear that boycotting a county’s products because their workers do not have the same job security or pay as our own workers does not help that country, even though it people think they are doing a good deed. To illustrate what freer markets can achieve Harford looks to China, a country which has seen an improbable economic growth in recent decades. As a result of this development, 300 million people have been lifted out of poverty in China. This number is so high that it is difficult to comprehend what it really stands for. When a natural disasters kills tens of thousands of people it is also easy to lose sight of the fact that every person is an individual with his or her own personality, feelings, food preferences, etc etc. Similarly when hearing that that 300 million people have been lifted out of poverty it means a very significant improvement in the lives of these individuals and that is something worth remembering! It's a good read. 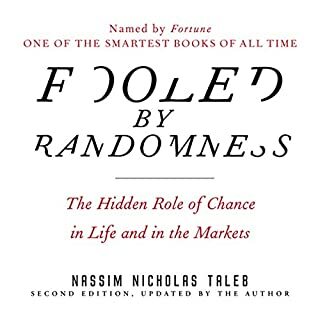 This book explains some of the phenomenal in life through lenses of an economist, introduces fresh perspectives to me. I learnt a lot and a great insight although the idea of income is never really discussed. the author has a bit too much faith in the free market economy. 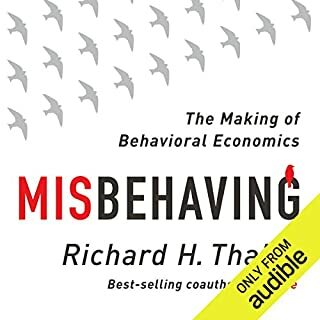 This is an excellent book which makes economics and approachable and interesting topic. The rendition was hilarious and smacks of Hitchhikers Guide to the Galaxy, great job! Would you try another book from Tim Harford and/or Cameron Stewart? The book is pretty good, but since it is per the housing loan crisis a lot of the numbers are a little dated. The book is full of interesting stories and anecdotes explaining his principles, but sometimes the explanations are a little thin. What may be obvious to an economist is not always that obvious to me the layperson. 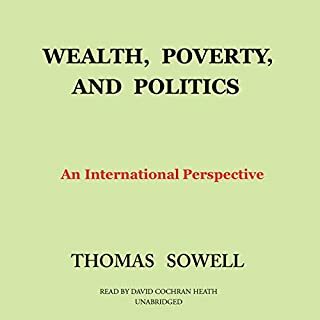 In some cases I got the impression that the author felt that his economic views were right, and everybody else's was wrong without giving a balanced viewpoint. 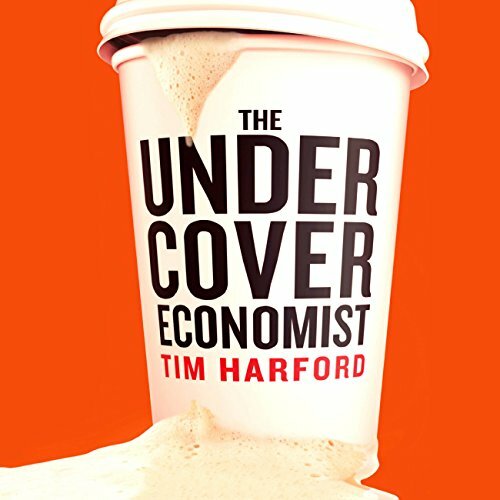 Was The Undercover Economist worth the listening time? Very good reader, but he speaks fast. I have come to the world of Economics like many people via the route of Freakonmics. As much as I enjoyed Freakonomics I felt there was a very small amount of (admittedly excellent) content spread over a longer book. This book is different. The author sometimes takes a while setting the scene but this all adds to the understanding of the principles he is explaining. 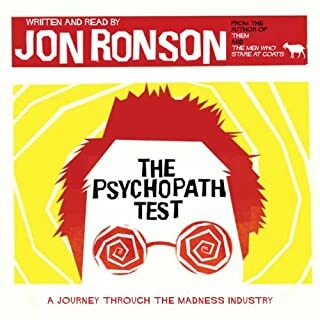 I can honestly say that my understanding of the world is greater having listened to this book. The narration is fine, with a pleasant english voice that doesn't grip you but at the same time does not become tiresome. 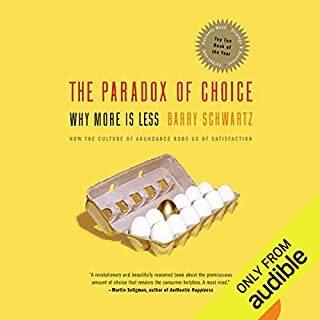 some really good ideas and concepts of basic economics and how the world works in here, worth a listen if you want to know more about what makes the world tick! The first part of this book is great. I really loved it. A good education on basic economics. As the book progresses its ambition is too grand for the strength of its conclusions. 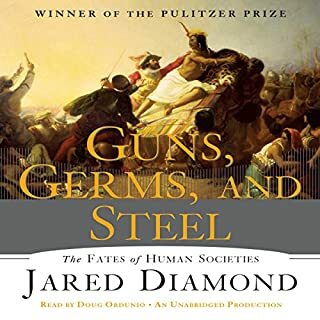 I think it would have been useful for the author to consider not just failing method of societies protecting a ruling elite or failed political systems, but to consider more how to avoid the sweatshop (his favourite example) stage of free trade altogether... and all of the other manifestations of free trade that make life so unfair for some. Loved it. 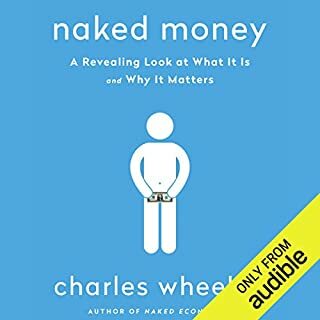 I had read the book a few years ago and found that the audio was even more engaging. Lots of really useful and easy to understand examples given to explain complex concepts. This is great fun and for anyone used to hearing the BBC radio 4 series, it's familiar yet with much greater detail -albeit slightly out of date (7 years out of date at least it seems when he's talking about China at the end).. It's a more expansive and interesting version of FREAKANOMICS. 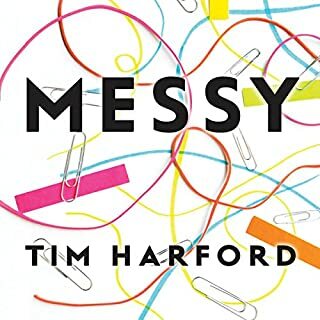 Hartford is a breezy master of writing and simplifying complex concepts into succinct relatable tales. I highly recommend for anyone interested in Business, economics, history or social sciences. Great view economics for non-economists, would benefit from an update though as now eastern and western economies have moved on. Some interesting insights. 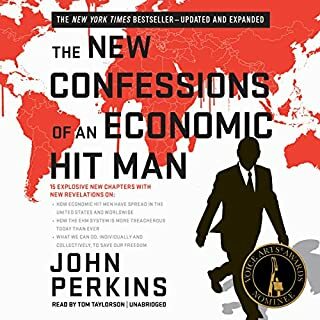 Good introduction and summary of the world economy. 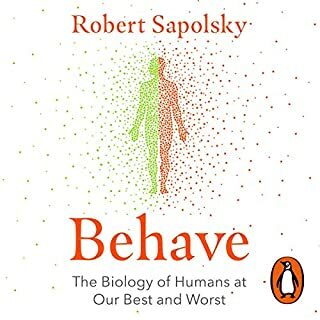 easy to follow and chapters are well structured. Tim Harford comes across very pro globalisation and does I feel bush over some of the negative impacts that deserve more in depth discussion. overall would recommend this book.